Only a few years ago, that phrase would have conjured up images of haggard, lonely people in crumb-encrusted pajamas, typing furiously in the monitor-lit glow of a half-finished basement. For some people, that image persists. But for many, blogging has become, if not a respected profession on its own, at least something that respected professionals do. And blogging has become an important part of science journalism and science communication for scientists and writers alike. For academics, blogging can be a useful method of outreach to the public. For writers and journalists, blogs can be used to build portfolios, elaborate on pieces for official outlets, or serve as writing laboratories where they test new methods and approaches. 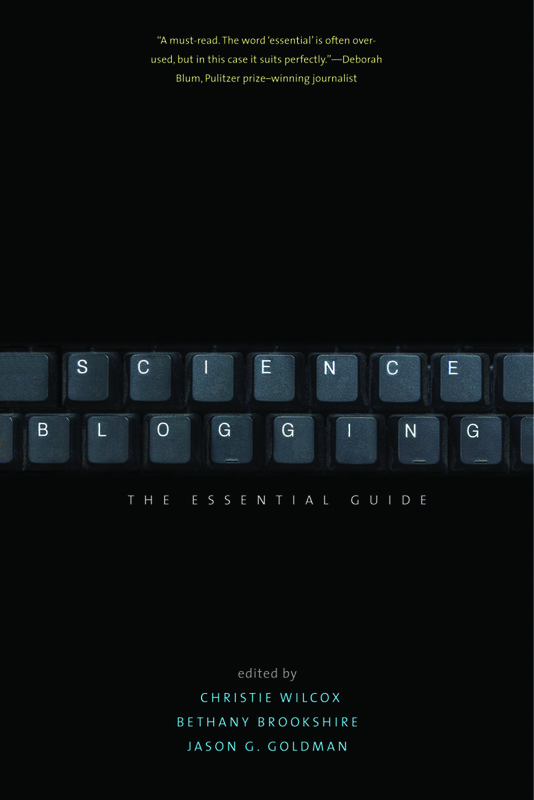 The book Science Blogging: The Essential Guide drew chapter authors from academia, science journalism, and beyond to contribute their expertise. Now, co-editor Bethany Brookshire asks some of those authors why they started blogging in the first place, and what they get out of keeping up their own little corner of the Internet. Many of our scientist bloggers started blogs in the very early days, before there was an established niche for science blogging. Why would a scientist step out of the lab and onto the screen? Janet Stemwedel: To connect my teaching of ethics in science with my research, current events, real life. Zen Faulkes: I saw how Neil Gaiman was able to use it to show his process, and I wanted to do much the same. I [wanted] to document academic science, which was something that I didn’t think was well documented at the time. Danielle N. Lee: I started blogging to document the science outreach I was doing locally (in St. Louis). I wanted a public sounding board (and archive) for sharing my outreach activities with the public. Rhett Allain: Really, it was a way to share projects with my students in physics courses. I wanted to give an example of how to analyze different situations and so I posted the stuff online. After a couple of examples, I became addicted and turned it into a blog. For science writers, motivations were slightly different. Some began blogs before they became professional communicators. Brian Switek: I was frustrated with my college coursework, and blogging was an outlet to talk about the science I loved. Joe Hanson: I was midway through my PhD program in molecular biology at the time. I was motivated to begin communicating science as part of a larger realization that my scientific future was going to be much more fulfilling outside of lab work, but at the time I couldn’t have told you if that was going to mean policy, journalism, or what. I had no reservations about blogging or otherwise doing [science communication], but I had serious reservations about making it publicly known [to] my coworkers, or by my boss … so much so that I hid it for nearly two years. My cover was ultimately broken when my blog was included on some “best of” listicle from Time magazine, and my boss called me into his office to ask if that was me. I thought I was going to be in trouble, but it turned out he had no idea what blogging / science communication really meant, so we chuckled it off and went on our way. Public information officers also viewed blogs as an alternative to traditional outlets for institutional science communication. Karl Leif Bates: Blogs offered a cheap, easy-to-use way to publish stories that weren’t worth press releases or feature stories. 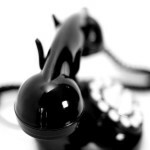 It was an experiment at first, but quickly became one of my essential tools. Matt Shipman: I viewed the blog as a way of both sharing and collecting information and experiences. How does science blogging mesh with your work as a writer, communicator, or artist? Carl Zimmer: It allows me to try out new ways of telling stories that editors might be too conservative to allow. Karl Leif Bates: I appreciate the “blank sheet” aspect of a blog—there’s no real format or structure that one has to follow, as with a traditional news story. It can be as short as a caption or a haiku, or as long as a New Yorker story—not that I ever do that. I also value the more conversational tone. Some stories are just more fun and deserve to be told as if you were talking over a beer rather than presenting in white tie and tails. Glendon Mellow: Blogging about my art has led to me writing about other people’s science-based art. And this has led to me being one of the community leaders, if there is such a thing, for science-based art or #sciart. I don’t think the community needs leaders, but I do take the exposure I am able to give people as a serious responsibility. Joe Hanson: It’s the sandbox and also the production line. It’s where I play and experiment, but also work and implement. It’s the practice field and the game field. It’s all of these things. I write and produce and communicate for a living now, and without my blogging experience and experiment zone and publicity outlet (it continues to be both of those things), I wouldn’t be where I am. Brian Switek: You only get to be a writer through practice. Blogging is always there to offer that practice. And in practical matters, blogging connected me with researchers who eventually invited me out into the field to assist with fieldwork. I wouldn’t have been offered as many opportunities if I hadn’t shown my dedication to paleontology through writing first. 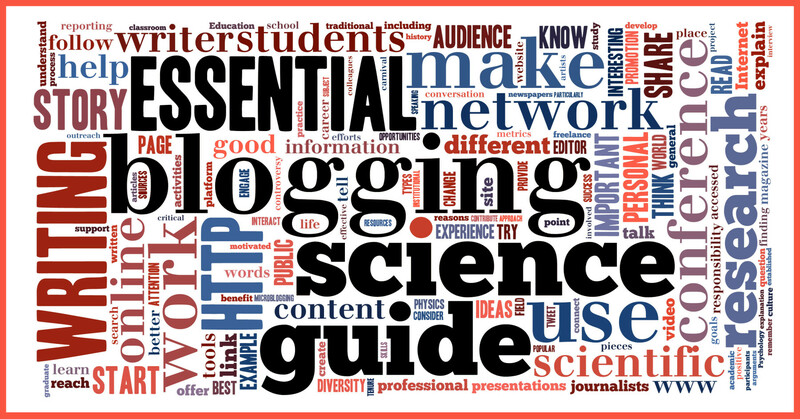 How does blogging affect your work as a scientist? Danielle N. Lee: Presenting ideas to the public makes you think thoroughly about what you are trying to say. I have become pretty good with connecting with people and identifying how most scientists and science journalists lose people, especially traditionally underserved audiences. Correcting course midstream has become one of the things I do well. Kate Clancy: It has given me so many chances to engage with scientists and journalists, which helps me see how my work is seen by others. It has also gotten me a number of writing and speaking engagements, as well as awards, and it has led to several publications. 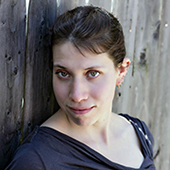 Janet Stemwedel: The two-way conversations (where readers use comments to engage and push the discussion further) has made me better at writing for a real (not just imagined) audience. Not being able to assume that my readers have a particular educational or work background (or that they’ve done particular “homework” before reading my posts) has made me better at writing without technical jargon and at making the “so what?” clear. Travis Saunders: Blogging has dramatically improved my ability to communicate my science to the general public, and has also improved my writing, which has made paper writing easier. Blogging also helped boost my self-confidence about my knowledge and skills (e.g., by blogging about research, I saw that I knew more than I had realized), which was really useful as a grad student. Finally, it’s been really useful for networking with other researchers, which has been enormously helpful. 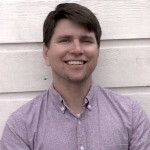 Greg Gbur: Blogging has taught me to write for a variety of audiences at different levels of experience, as well as to write scientific articles in a way that they will reach the broadest audience and be attention-getting. Many of our authors have been blogging for years, picking up nuggets of expertise via trial and error. Here are a few golden bits of advice they wish they had known before they began. Carl Zimmer: It can add up to an awful lot of writing—which might be better in a book. 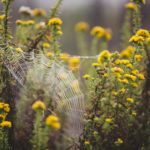 Liz Neeley: Think small—the minimum publishable unit for a blog post is probably smaller than I realized when I started. Also, don’t waste your time recapping generic advice that anyone else could crank out. What are you uniquely able to talk about? Focus on that. Greg Gbur: The best thing one can do in blogging is be sure to make lots of contacts online, through (insightful) comments on other blogs, and on Twitter, Facebook, and elsewhere. I sort of stumbled into a great community that helped me get my blog some attention, but one should not be afraid of making oneself known. Alberto Roca: Create a daily/weekly routine to maintain writing productivity. In theory, such a habit could address the writer’s block of “finding the time,” though I’m still working on such an approach. Matt Shipman: It’s more fun than I thought it would be, and it created more opportunities than I thought it would. Just do it! Blogging facilitated the beginning of my full-time freelance writing business. It provides a way to explore new topics and experiment with different techniques. I used my blog as a sandbox this way for quite a while.